If tort law is significant because it governs rules of conduct, the way people interact with each other, then contract law is significant because it governs the commitments we make to one another. This course will provide students with a comprehensive understanding of the common law of contracts, from the formation of a contract through its termination, including the several ways in which a contract can be entered, consideration, offer and acceptance, illusory contracts, oral contracts, the statute of frauds, accord and satisfaction, enforcement, damages for breach of contract, and the several defenses available to a party who rescinds on a contract. Additionally, this course will familiarize our students with the Uniform Commercial Code and the laws governing the sale of goods. Properly research various sources of contract law, including common law, case law, general obligation statutes and the Uniform Commercial Code. Describe the manner in which a contract can be formed by "mutual assent." Differentiate between an offer and a mere expression of interest or an invitation to negotiate. Describe the rules of revocation by actions or expressions, and apply those rules to fact patterns. Describe actions that constitute acceptance of an offer. Describe why particular agreements are supported by consideration in various hypothetical fact patterns. Describe the concept of legal detriment, as it relates to adequate consideration. Apply some of the more complex aspects of the rule of consideration, including the rules governing partial payment checks and promises to pay rewards. 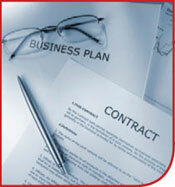 Describe and apply the rules regarding defenses against the enforcement of a contract. Recognize cases in which a contract can be voided due to grounds such as mistake, duress, unconscionability, statute of frauds, etc. and determine whether any such defense is applicable in a particular case. Determine whether a contract has been breached in a particular fact pattern. Apply the “substantial performance” rule to breach of contract scenarios and the related “perfect tender” rule of the U.C.C. in the sale of goods. Apply the rules for contract remedies, i.e., expectation, reliance and restitution damages, to a particular fact pattern and predict the kind of remedy a court will be most likely to order in a particular case. Apply the rules for contract remedies, i.e., expectation, reliance and restitution damages, to a particular fact pattern. Describe the kind of remedy a court will likely order in a particular case. Describe the conditions necessary before a court will order equitable remedies, such as specific performance.